Spending time overseas and still want to enjoy a fast internet connection? Using data internationally on a standard phone plan is a huge risk, as providers are known to charge you an absolute fortune for the service. iNet offers a solution to this issue — whether you need to keep in contact with clients and colleagues or want to search local maps using your laptop or smartphone, pocket WiFi from iNet is a good way to travel to the USA. Our range includes 4G, 3G and mobile sim card options to suit the needs and budget of any traveller. We offer units with a choice of coverage from some of the biggest providers in the country including Verizon, AT&T and T Mobile, so be sure to check out the coverage map to see which will suit you best. 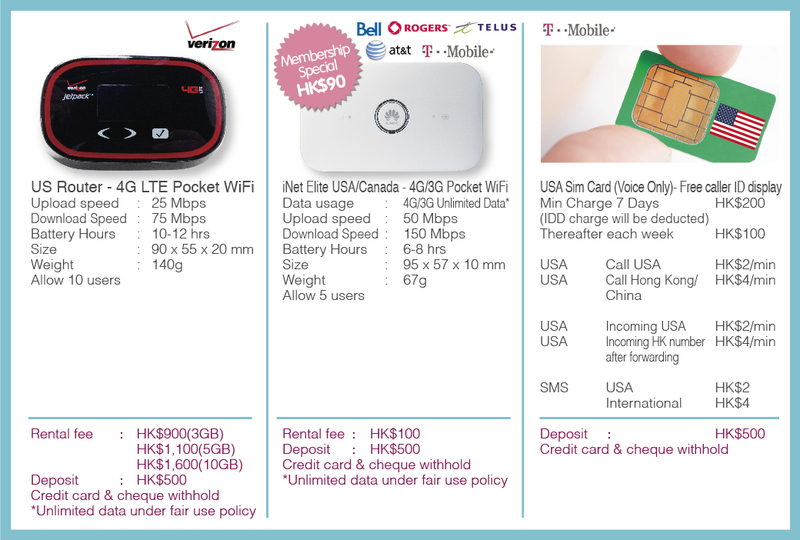 The 3G USA WiFi egg can be accessed by 3 users at once, while up to 10 users can connect to the 4G model. Both are lightweight and come with a complimentary charger and cable to make sure you never run out of battery when it matters most. With WiFi units also available for Canada and other countries all over the planet, we can keep you connected in countless locations across the globe. Members are welcome to enjoy the free delivery at all Commercial & Industrial address in Hong Kong. To find out more and enquire about dates, leave your details in our booking form and we’ll get back to you as soon as possible. We also take bookings over the phone, so if you prefer to speak with us directly, call our team today at +852 3502 1188. A few days prior to departure, one of our staff members will get in touch to organise delivery or pickup. For a 5% discount on your order, follow iNet on WeChat today!